Atlanta, MI. 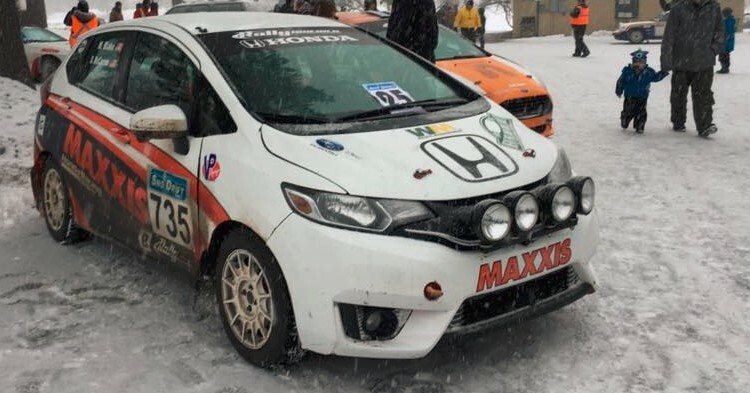 (Jan. 27-28, 2017) – Maxxis renewed its partnership with Honda Performance Development to continue campaigning the 2015 B-Spec Fit developed specifically for Rally competition at the Sno*Drift Rally, the first and second round of the 2017 Rally America National Championship. In addition, the veteran Honda rally team would field a 2011 Honda CR-Z in the 2WD category as a way to start testing the waters in the overall 2WD field. The Maxxis/HPD Rally Team had already built up an impressive four National Championships in B-Spec, as well as some strong finishes in the 2WD Category over the past several years. Leading into 2017 season, the Ohio-based Rally team has begun plans to expand into outright competition in the highly competitive 2WD category. The plan is to campaign a new 2017 Honda Civic, but with the car is still being prepared for competition, the only option was to field one of the team’s back-up cars, a 2011 Honda CR-Z. With James Robinson taking the 2016 season off, there was a lot to do to regain competitiveness in the 2WD field, and to gain some familiarity with the relatively unproven CR-Z platform. In addition, there was a new driver / co-driver pairing in the 2015 Honda Fit B-Spec Car … Dan McCarron and Matt Blake. The newcomers to the B-Spec Fit have had a few years of rally experience at the regional level, but this would be their first outing in National Competition. All in all, the first two rounds of the Rally America National Championship would prove to be exciting for the Maxxis / HPD Rally Team! The Sno*Drift Rally is set in the middle of the picturesque forests of Michigan, making it one of the most unforgettable and challenging rounds in the National Championship. The unpredictable winter weather could mean conditions anywhere from sheer ice, to mud and water or, most preferably, deep powdery snow. Sno*Drift takes advantage of the rugged terrain of Montmorency County and continues to live up to its reputation as a real driver’s event. 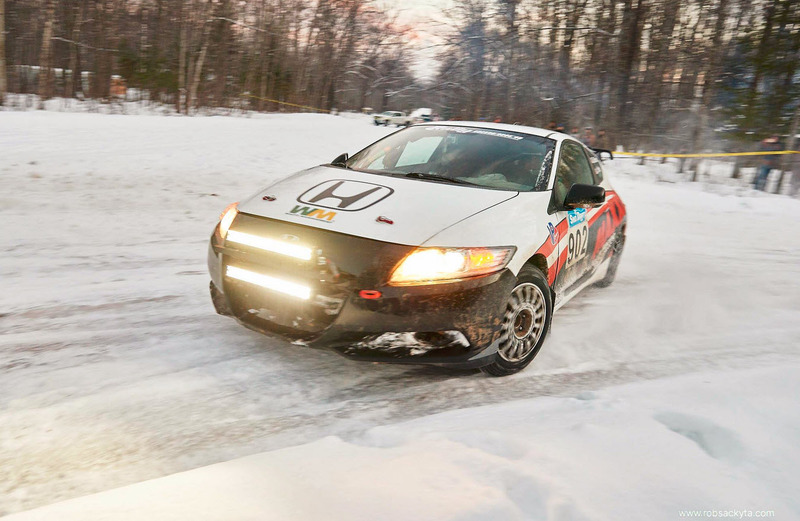 It challenges 2WD competitors to find the best way to keep the cars moving quickly on the treacherous winter roads. Moving into the second day of competition, the B-Spec Fit continued to lead in class, but the CR-Z was struggling to keep pace with the faster 2WD National competitors. “We’re having a great run today, with no real issues,” McCarron stated at the end of Stage 11. As for the CR-Z team, Robinson was feeling the impact of more than a year out the driver’s seat. “We’re doing our best not to lose touch with the 2WD leaders, but we’re clearly in need of more practice in the car,” he stated. 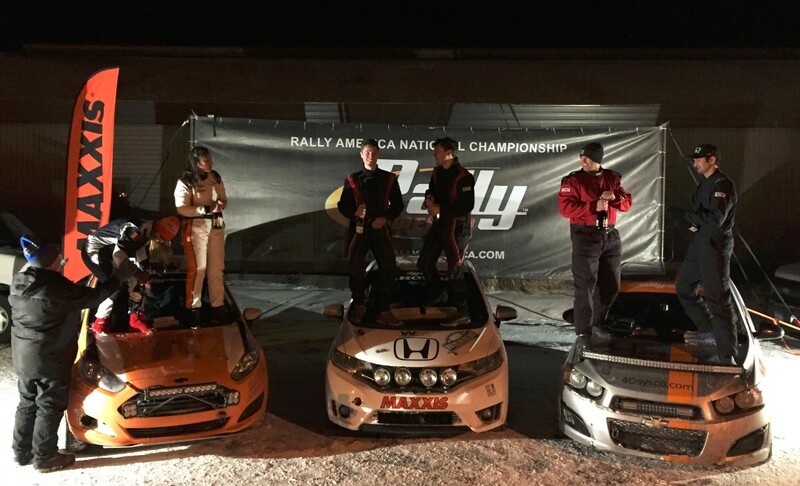 Coming into the final time control, the Maxxis/HPD team could celebrate with a first-place finish in B-Spec and a sixth-place 2WD finish for the CR-Z Team. Look for the THR B-Spec Fit and the new THR Rally Civic throughout the 2017 Rally America Series. 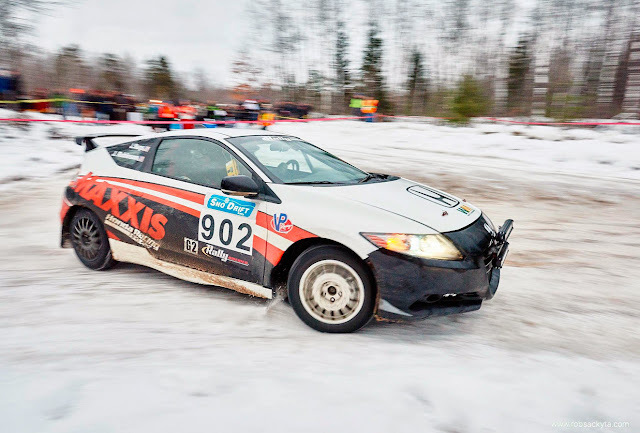 Based in Williston, VT, Rally America, Inc. sanctions the Rally America National Championship, the premier performance rally championship in the United States, and a number of regional rally championships throughout America. The eight-event Rally America National Championship stops at venues across the country, from Denver, Colorado to Houghton, Michigan. 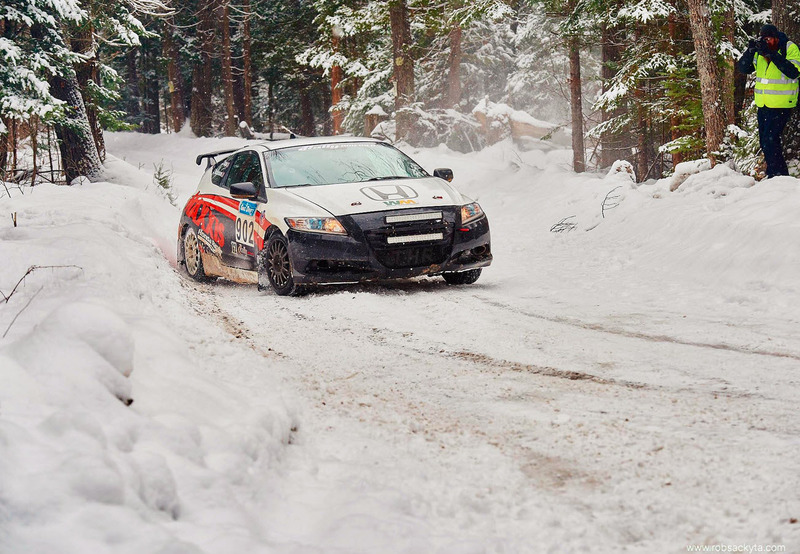 Rally America competitors can reach speeds of well over 100 mph in modified street cars on natural-terrain courses consisting of gravel, dirt or snow over a course covering hundreds of miles. With an excellent mix of geographically diverse stage rally events, an eight-event Rally America National Championship making up the 2017 Rally America schedule, it’s certainly a busy season. But 2017 promises to be bigger and better with additional stage rally events now being planned and even more rallycross events added to next year’s event calendar. There you have it. Whether you’d like to spectate or compete at a rally or a rallycross, learn more about what it takes to get involved in these fast-growing forms of motorsport. We hope you’ll join us at a Rally America event near you in 2017!